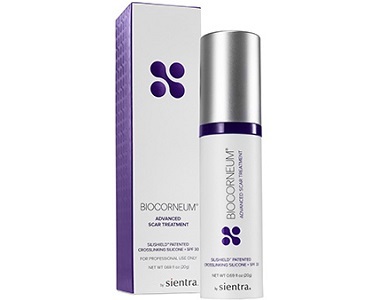 Read our review of the product BioCorneum. This product aims to assist with softening, flattening and smoothing scars. In addition, this silicone gel provides a protective layer over the scar to help minimize the appearance of the scar. Furthermore, this product assists in restoring healthy skin functioning. 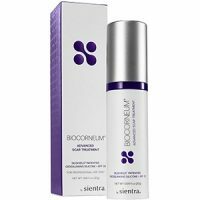 What’s in Sientra BioCorneum Scar Treatment? The inactive ingredients in this product are Isopropyl Myristrate, Polysiloxanes, and Silicon Dioxide. How do you use Sientra BioCorneum Scar Treatment? The manufacturer recommends that the affected area be cleaned and dried first. A thin layer of the product should be applied twice daily, morning and evening. Thereafter, one should wait for 15 minutes before exposing the skin to the sun. This treatment should be continued for 12 weeks. As a general rule, the treatment for new scars takes 60 days and for older scars, 90 days. However, the treatment may stretch from 6 to 12 months. Nonetheless, the treatment should remain on the skin for 24 hours a day for best results. Depending on the size of the bottle, the price may differ. For instance, a 50-gram bottle costs $95.00, a 20-gram bottle $69.95, and a 10-gram bottle $35.00. These are the prices given for online purchasing, however, there are other third-party sites on which you may also purchase this gel. This company does not offer discounts on bulk purchases. The company proudly boasts that they offer a 100% satisfaction guarantee. However, there are some terms and conditions our research has unlocked. Firstly, the product must be returned within 45 days from the day of purchase. Shipping and handling fees are not returnable. If the original purchase did not have a shipping fee, returning the product will attract a shipping fee of $5.00. If the item was used, an amount will be deducted from the refund fee as a restocking fee. 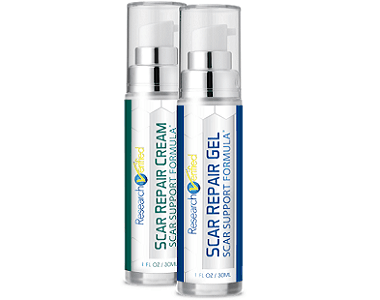 This product is meant for new and old scars. In addition, the application is easy and dries fast. Cosmetics may be readily applied over the product. However, even though the company offers a 100% guarantee on its products, the return policy contradicts this, the items having to be returned within 45 days. The company deducts shipping and handling fees, as well as a restocking fee if the item has been used. In addition, the company will charge a shipping fee even if you didn’t pay this on a purchase. Besides the costs of the product, even though the company has declared that the product should be used for 12 weeks, treatment may last for 6 to 12 months, without any guarantee that there will be positive results. This is a concern, particularly since many customers indicated that the product had not worked for them.